It is always great to see the before and after photos from jobs, especially when you can get such a contrast between the two! 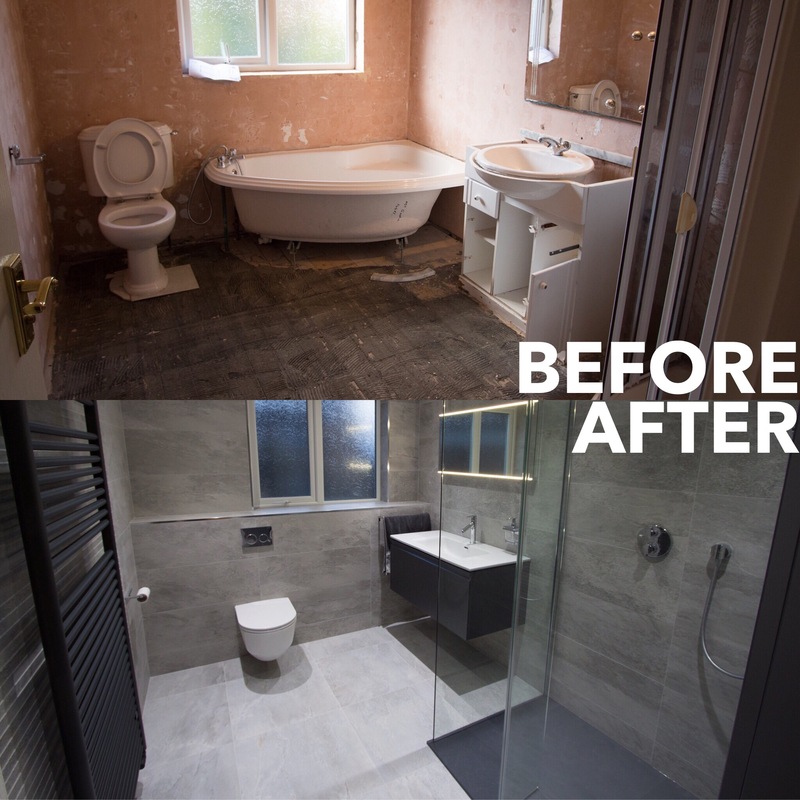 We removed the bath from this property to create a larger floor plan for a walk in shower and sizeable vanity unit. 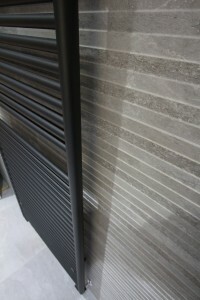 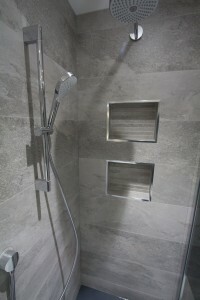 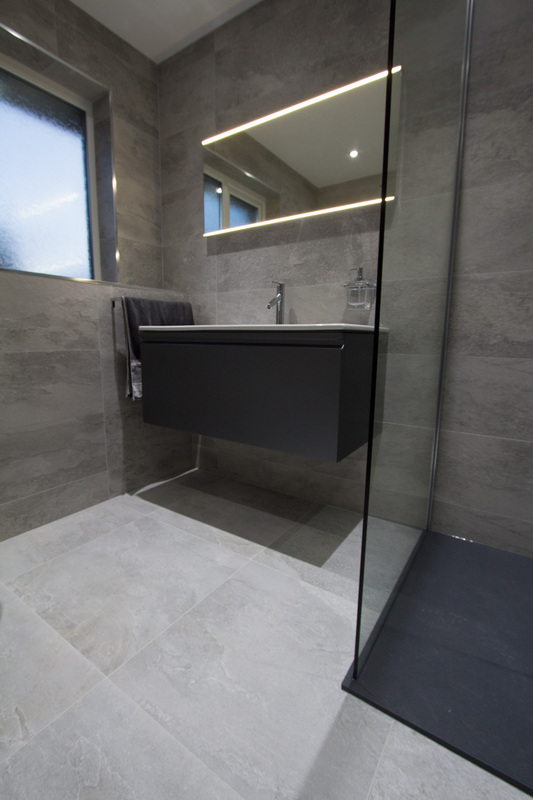 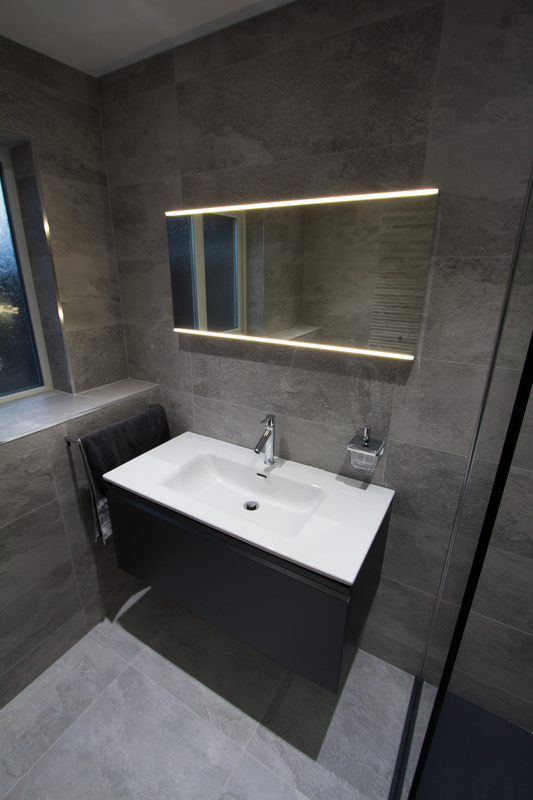 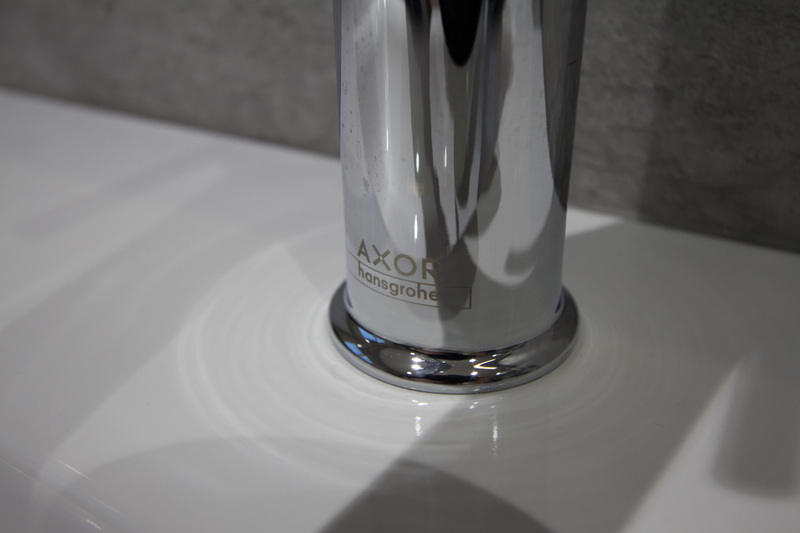 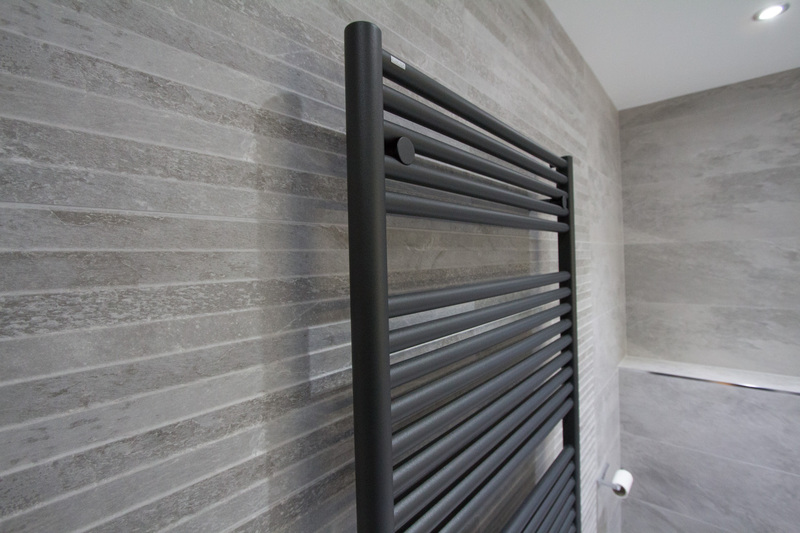 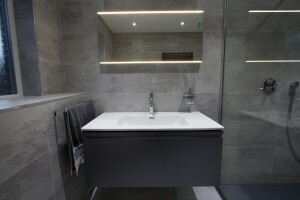 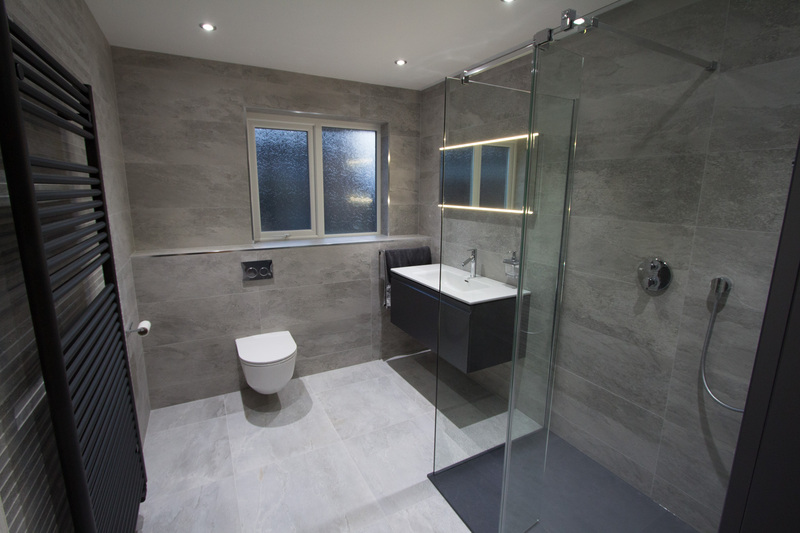 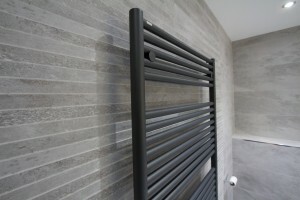 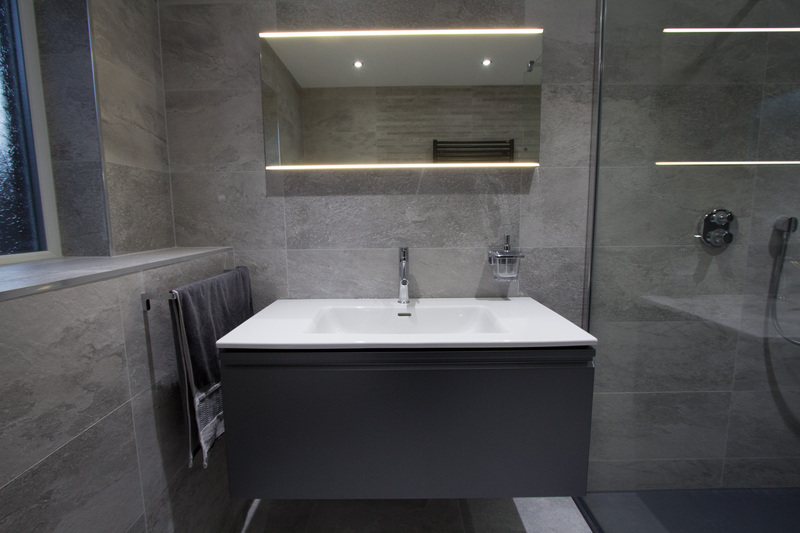 The Laufen Pro range in graphite sits particularly well with the grey tiling scheme in this installation. 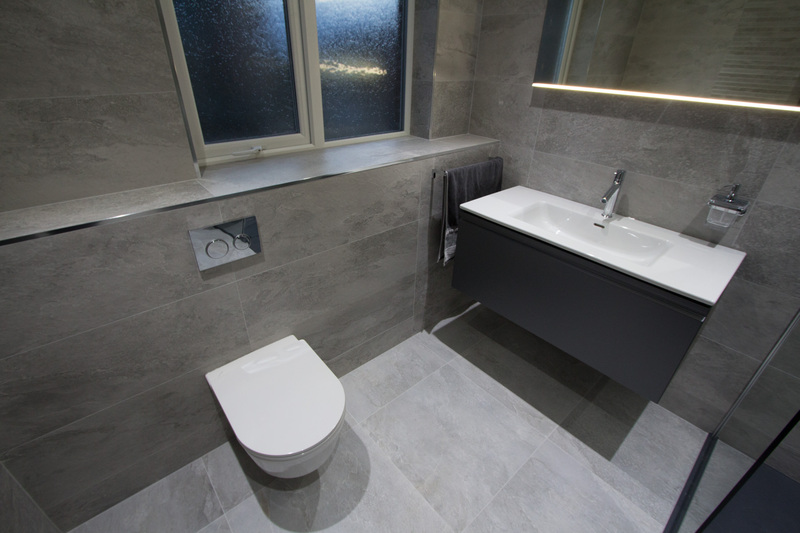 Using a large format floor tile and wall hung toilet at the end of the room gives the illusion of more floor space. 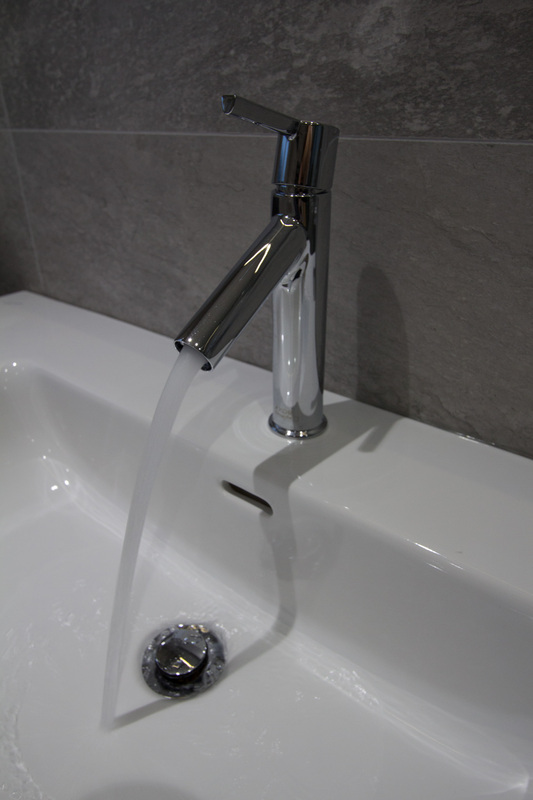 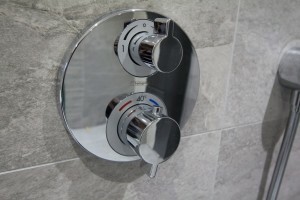 Overall this project took the team 6 working days to complete, plus the installation of a pressurised water cylinder. 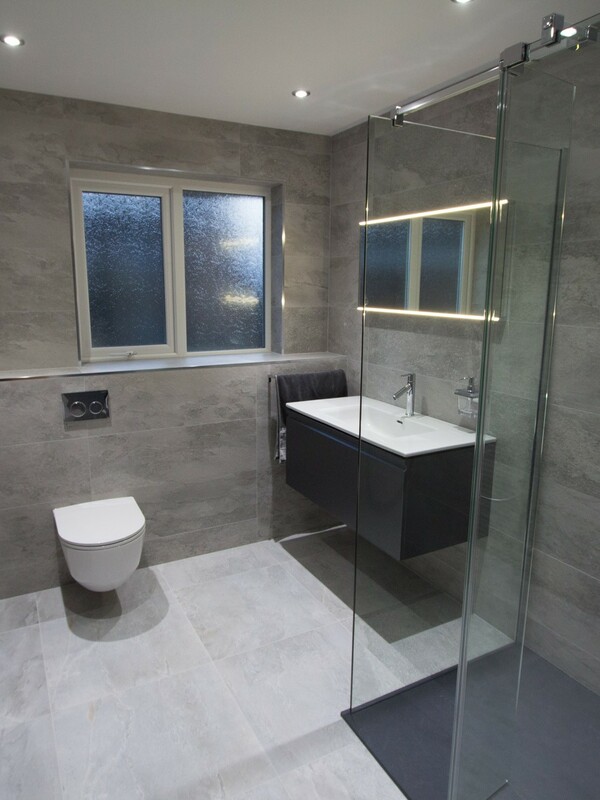 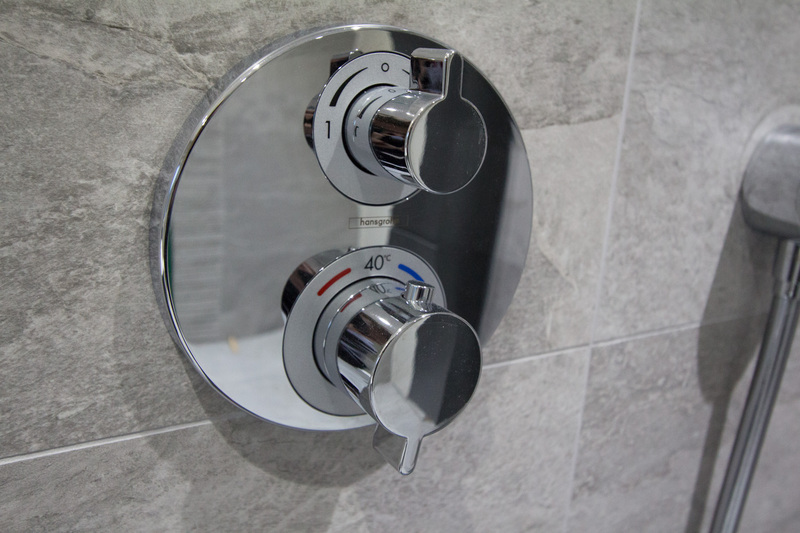 If you are interested in a bathroom fit-out, call a member of the team on 02890 770044 to arrange a no obligation consultation.